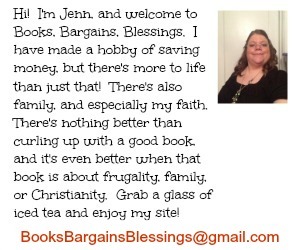 Books, Bargains, Blessings: Happy 4th Of July! No, I'm not late in wishing you that. Our town 4th of July parade is tonight, July 7th at 7 pm. The 4th of July fireworks are on July 8th, and the demo derby is July 9th. It wasn't always this way. In fact, my town has the old continuous 4th of July celebration in our state. The fire department was always in charge of it, and there's a carnival and a week of festivities. Since then the town's betterment committee has sponsored an "Old Fashioned Day in the Park" to celebrate Independence Day, and that one lands on July 4 every year!